Heavenly Father, today we praise you for the release of Pastor Andrew Brunson from imprisonment in Turkey. After serving two years for what many believe was a bogus charge of assisting with a military coup, we rejoice that Brunson can now live as a free man. Please bless those who were involved with his release. 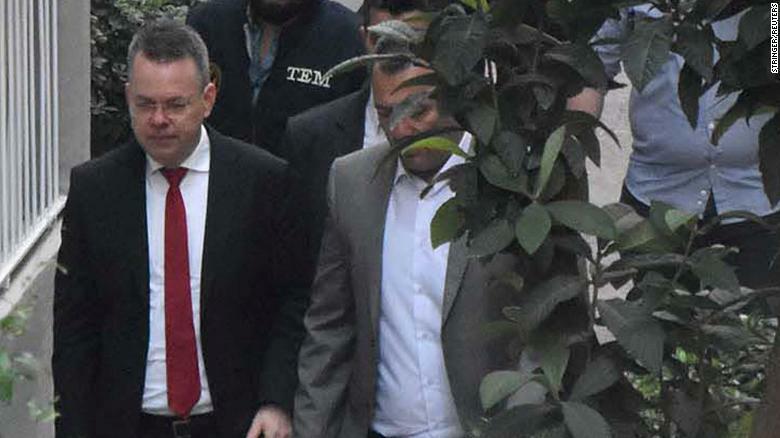 We also pray that the process of safely returning Brunson to the United States (after his 23 years in Turkey) will go as smoothly as possible, including his health review in Germany. And, Lord, we pray for the Brunson family as they continue to recover from the trauma of the past two years. Please bring healing, and may their story ultimately bring glory to you. In Jesus’ name we pray, amen.